It’s mid-October and we just experienced our first frost here in North Georgia. And as I walked the dog around the neighborhood during those predawn hours, I saw Orion in the clear skies for the first time this year. 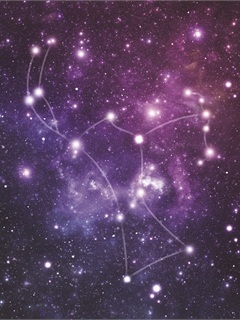 Legend has it that the constellation only appears in the fall and winter skies because the hunter was favored by the ancient gods. I always feel good when I see him. It’s sort of an omen of good fortune — that’s if I were superstitious, which, of course, I’m not (knock on wood). It’s my favorite time of year. There are football games to enjoy, and watching the leaves change color never gets old. Debbie and I made our annual trip to the Great Miller Lite Chili Cook-Off at Stone Mountain Park. There were maybe 25,000 people walking from booth to booth and sampling chili and drinking beer while live music filled the air. The entire experience took me back to my roots, reminding me that, despite my successes and personal development, I am still, deep down inside, that same West Jacksonville redneck that blew into town 30 years ago with my mattresses tied to the roof. 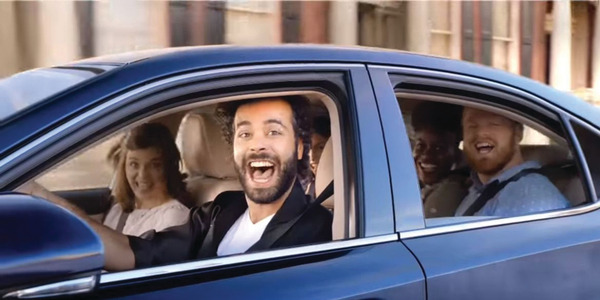 Despite the economic hardships many people and industries are experiencing, the car business is booming. In fact, we just came off the best retail sales month in September since 2008, with the industry recording a 13 percent year-over-year sales increase. If we close strong in the fourth quarter, it’s possible we’ll reach 15 million units sold. Low interest rates and more readily available credit are major contributors, propping the industry up as other economic indicators like real estate remain depressed. Also driving these better times is pent-up demand, which is finally being released after the crash of 2008. Japanese manufacturers are back at full production and Toyota posted a 42 percent sales increase. Honda also is on the comeback trail, posting a 31 percent year-over-year sales increase in September. The only loser was Nissan, which saw sales retreat 1.1 percent from the year-ago period. As for the domestics, Ford and General Motors remained flat, while Chrysler and Fiat sales soared — showing gains for 30 consecutive months. The joker in the deck was Kia. That company recorded a 35 percent year-over-year sales increase. If General Motors, Ford, and Nissan are wondering what the hell is going on, they might want to look at Kia and Hyundai. The only issue those two marques have is dealers still screaming for inventory. It would be a bloodbath if they could ever get what they need. Every month, I talk to hundreds of dealers, managers and factory executives from virtually every state, market and brand. So, what I’m writing can’t be found in some monthly report; this is from experiential observation. That’s why I can say with authority that dealers are optimistic. That’s because, for the most part, manufacturer-dealer relations are more harmonious than they’ve been in a long time. Of course, that makes it more difficult to write my signature articles. If you’ll recall, I began writing over the summer about how Mercedes-Benz and BMW were padding their monthly sales reports. Manufacturer reps were reportedly encouraging dealers to put cars in loaner service, requiring that they be titled as sold — even if it was for only one day. 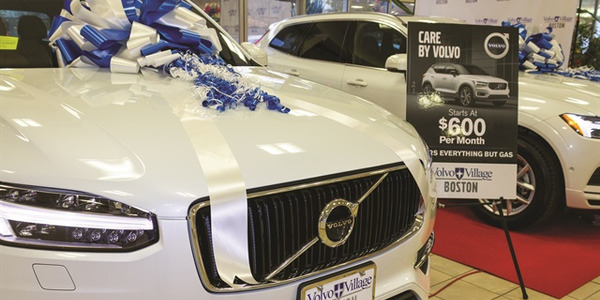 The vehicles were then sold as certified pre-owned, with participating dealers getting rebates for as much as $8,000 per unit. BMW reportedly had dealers put cars in demo service to achieve the same outcome. It occurs to me, however, that these are publicly traded companies. So, if they are indeed openly admitting to falsifying sales figures, wouldn’t that mean they’re violating a number of federal laws? The underlying cause of these shenanigans is the fact that Mercedes’ market share in the luxury segment is shrinking, while BMW and Audi are substantially ahead. For the last five years, I have continually written that Audi was the benchmark in the luxury category. Up 70 percent in the last seven years, the brand is on fire. I predict it’ll pass BMW next year as the No. 1 luxury brand globally. As for Mercedes, I believe it’ll continue to fade. See, Mercedes was counting on China to help it regain its place as the No. 1 luxury brand. Unfortunately, BMW and Audi are the ones realizing 30 percent gains in China, while Mercedes posted an anemic 6.7 percent sales gain through September. Mercedes has made major commitments in China. It obviously miscalculated, however, now that China is slowing down. China controls its economy, and, right now, it’s freezing foreign sales, contributing to Mercedes’ failure. I’ve said it publicly and written before: If you’re going to invest in China, you’re going to have your behind handed to you. Hey, China is still a communist country that was, not too long ago, running over its citizens with tanks. And it’s famous for stealing technology and designs and producing knock-offs. The territorial dispute between Japan and China over a group of islands — known as Senkaku in Japanese and Diaoyu in Chinese — has led to rioting and destruction of Japanese property and businesses in China. China also has the largest standing army on the planet. They’re going to start something with somebody sooner or later, maybe Japan. And it’s not completely impossible that the anti-Japanese sentiment in China could blow up into a military confrontation over those disputed islands China is claiming as their own. What if there was another mini-war like the one in 1982 between Argentina and Great Britain over the Falkland Islands? If China moves on Japan, what would the U.S. position be, and what would that do to all of these trade agreements, Western investment and manufacturing in China? 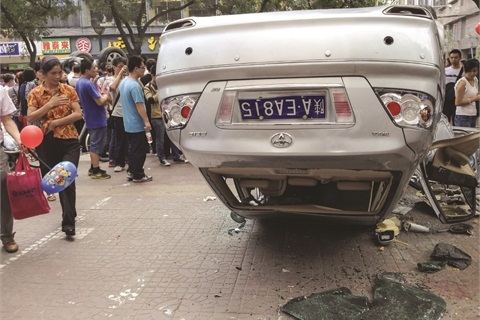 People in China are already rioting and destroying Japanese property and businesses in China. Toyota and Honda dealerships there have had cars set on fire, windshields smashed and buildings damaged. That’s why Toyota and Honda have dramatically revised projections for China sales. They dramatically reduced production as well. You know, and I’m just “sayin’,” nobody in China would dare riot without the government’s consent and complicity, and that’s all I’ll say on that. When I see General Motors, Ford, Mercedes, Volkswagen, and virtually every other manufacturer investing in China, it amazes me that they think that government is going to allow them to win in the relationship. The intense battle for market share in the luxury segment has led to funny numbers crunching by the segment’s three main competitors. The hits just keep on coming for Toyota, which is back in the news. The brand has always been synonymous with quality and product integrity. It endured recalls and tsunamis, earthquakes and floods, even wrongful political persecution over an acceleration issue — which was probably not even a real issue at all. That being said, the latest safety recall of 7.4 million Toyota vehicles is the largest since Ford recalled 8.7 million units for faulty ignitions that caused engine fires. Toyota’s issue this time around is related to faulty power window switches on the driver’s side. According to reports, grease may not have been applied evenly on the switches, causing a sticky feeling. The defect isn’t the cause of the fires, but lubricants consumers are applying to fix the problem are allegedly the source of the fires. Here’s what pisses me off about the entire situation: In documents filed with the National Highway Traffic Safety Administration (NHTSA), Toyota admits it has been working on this problem since September 2008. That’s absurd. Toyota has been screwing around with this for more than four years, yet it continues to produce cars with this known safety defect? If I was a Toyota dealer, I’d be pissed. I then told the reporter, Yoko Kubota, what I’ve been writing in this magazine: That both Toyota and Honda have taken content out of their vehicles in order to keep prices down amid fierce competition, particularly from Hyundai and its stablemate, Kia. I was disappointed that Kubota left out something I really wanted to stress, however. I said that Toyota’s strength throughout all of these issues is that it always does the right thing, especially when it comes to its customers. I really wish they would have included that in the article because I think Toyota is a great company, and its integrity breeds customer loyalty. Nobody is ever going to assume that Toyota builds completely bulletproof cars. Nobody does, but it has always made it right with minimum impact to the consumer. Well, another article draws to a close as I turn up the snifter to take in those last remaining drops of Louis XII Remy-Martin Vintage Cognac. Orion is in the sky and the football season only half over. This is my time of year.